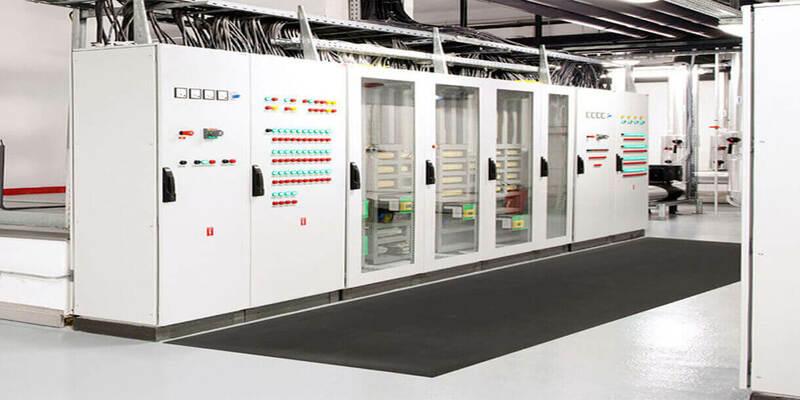 The insulation mats are manufactured as per the IEC 61111:2009 standard set by the International Electrotechnical Commission and are highly electrical resistant. These non-conductive electrical insulation mats insulate and protect from mortal shocks generated by high voltage equipment. We recommend thickness from 2mm to 4mm (higher thickness also available) depending on use working voltage resistance with anti-skid textured surface on top and smooth lower surface. The electrical insulation mats that we offer are leakage, moisture and water proof that guarantee long functional life. They are also fire, oil and acid resistant. Manufacturer’s Test Certificate is provided along with the supply. 4 Ageing Properties at 70±2°C for 168 hours. Mechanical Puncture Resistance not less than 80% of original value. 5 Flame Retardance Does not catch fire. 6 Low Temperature Test at -25±3°C No visible tear, crack or break. 7 Acid Resistance Mechanical Test Values not less than 75% of original value. 8 Oil Resistance Mechanical Test Values not less than 75% of original value. 1 Standard Size & Design 1) 1.0 Mtr. Wide x 10.0 Mtr. Long. in Texture Design. 2 Custom Size & Design Max. width upto 2400mm, length upto 20M and thickness upto 25mm available in Texture Design only.